A moisturiser that suits your skin should not feel greasy or oily. It should have that feeling of comfort. A day cream should have sun protection (SPF), or you’re going to get wrinkles faster than you think. Rich night creams are only for the night. Also, the skin around your eyes is thin, so it is unadvisable to put moisture around it as it will block the pores and you will see it in unsightly white heads. During the day, it is a beauty commandment to wear a sun cream with the right amount of SPF, or your skin will age faster. Find a sunscreen that gets under your foundation and moisturiser seamlessly. The best thing, however, would be to use a moisturiser that contains SPF. When it comes to exfoliating your skin, go easy. Over-exfoliating irritates your skin and turns it red. There is a rate at which old skin is supposed to fall out. Constantly stripping your skin makes the skin greasy. Also, poor exfoliating scrubs with sharp, uneven grains can damage the skin. The thumb rule is, exfoliate only twice a week. Face masks, just like moisturisers, are made for skin types. If you are not using the right face mask, the one that actually gels with your skin, you are in trouble that will manifest slowly. 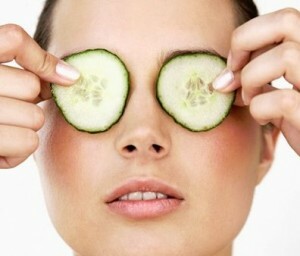 For example clay-based masks, or those with salicylic acid for oily and spotty skin will make normal and dry skin flaky. If your skin needs moisture, use a product with nourishing and replenishing ingredients like hyaluronic acid or vitamin E.
Most face wipes on the market contain abrasive chemicals and high levels of alcohol. If you want to feel fresh and rub your skin really hard, you are in for a bout of irritation, stinging and redness. Such wipes are bad for delicate skin, in any case. Use a PH-neutral product instead. If you are sleeping with your make-up on, your bed mates are dirt, oil and grime. You have to cleanse your make-up gently before hitting the sack, or your skin pores will look like tiny black holes and acne will be your constant companion. Are you the kind that gets carried away by ads and nicely packaged stuff? If the answer is yes and you change your skincare products frequently, you are making a mistake. If you have been recommended a new product and plan on using it, you have to try it for at least 90 days to see its real effects. If it’s good, you are in good hands. Otherwise, trash that product right now and begin looking for the right one. Finally the most important thing: unless you observe that your skin is actually ageing, anti-ageing creams are no good. It is silly to use them as a preventive because the potent ingredients in it will either have nothing more than a placebo effect or will damage your skin. So, analyse your skin type, google what’s best on the market and make an informed decision. Skin, after all is the largest part of your body’s integumentary system.